Thanks to digital technology and social media, there are myriad manners in which defined contribution plan participants can communicate with their financial advisors. 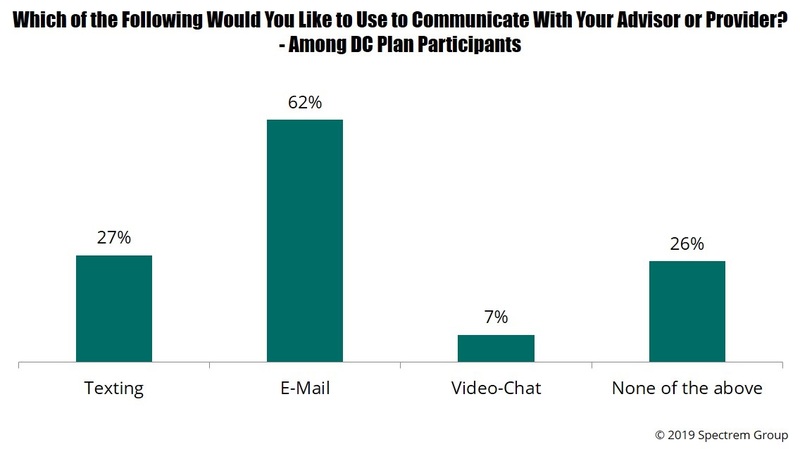 Spectrem’s DC Participants Insights Series report Communication, Digital Tools and Social Media determined how that communication occurs, beyond the use of a telephone, which for many people is going the way of the candle or oil lamp to light a room. 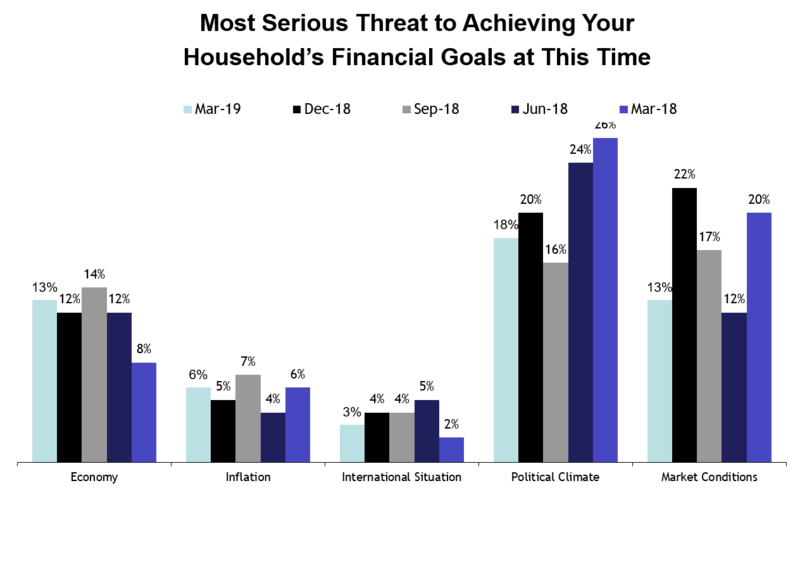 Investors would love to know they are going to be successful in predicting the direction of the Dow Jones Industrial Average, NASDAQ and S&P 500, among other indices. They would do the Dance of Joy to know their investable assets are definitely going to grow according to their plan. But the stock market is an uncertain field of data. 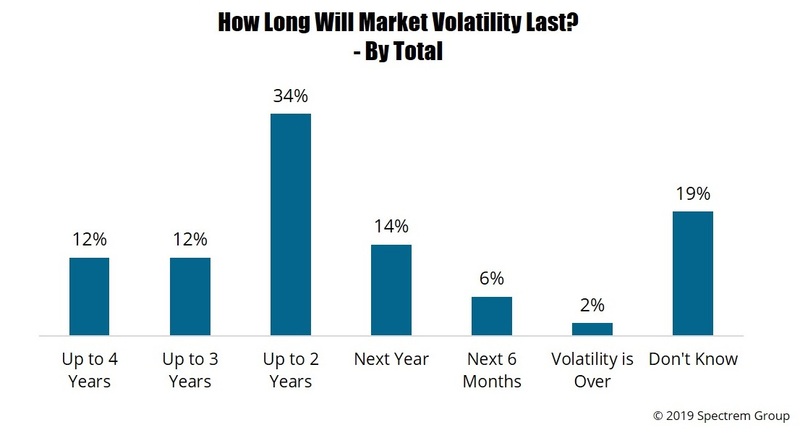 Sometimes our research provides surprising results, often in the manner investor attitudes have changed over time. 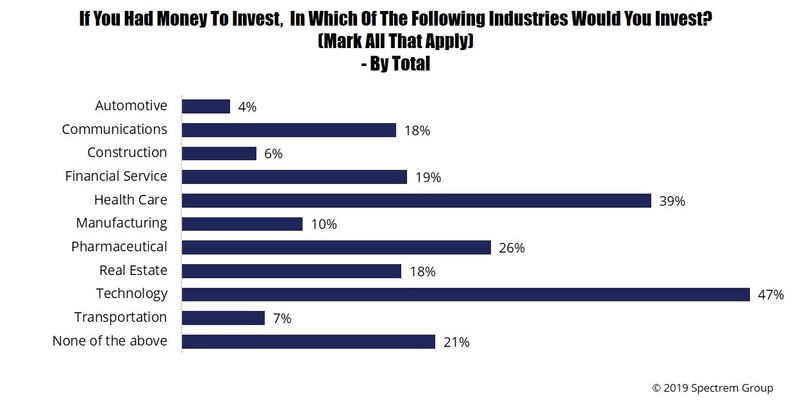 But one element of our research that is almost always surprising is the percentage of investors who don’t know key details of their portfolio. It behooves investors to discuss with their advisor the big picture issues which color their investment decisions throughout the year. 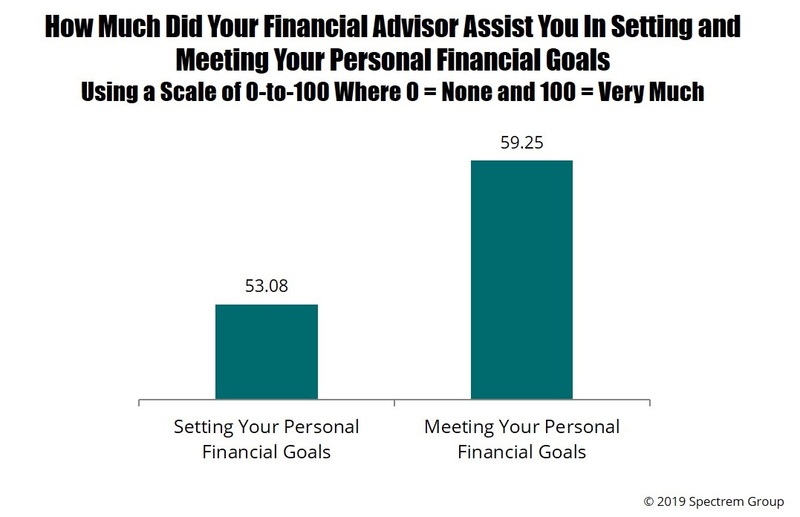 Oddly, the percentage of investors who discuss their personal financial intentions with their advisor is only slightly above 50 percent. Retirement is generally a situation reserved for older citizens, and for most takes place after one’s 65th birthday. When people are 65 years old or older, their children are usually adults themselves. Retirees are no longer concerned with the financial details of paying for college educations. They are past many of the personal financial concerns that younger citizens have. 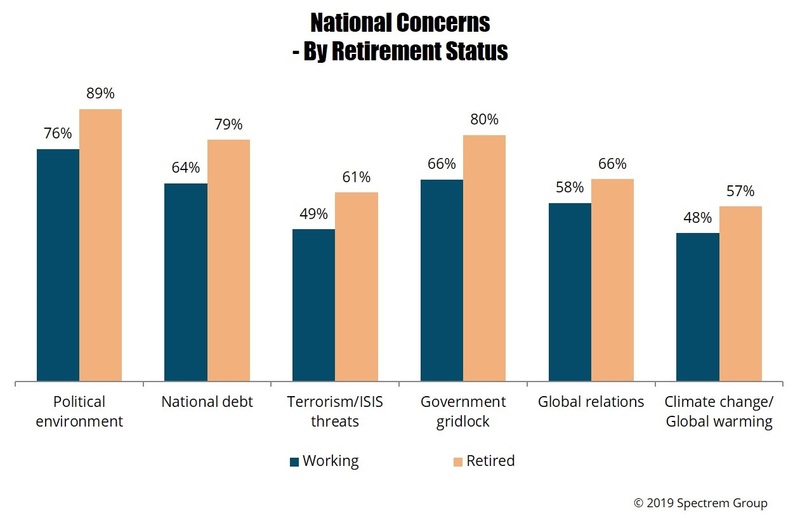 Retirees have an entirely different set of concerns. April 15, 2019…a very bad day. Not only is it Tax Day, which makes it an unpleasant day at the outset, but also the beautiful historic Notre Dame Cathedral in Paris is burning to the ground. As someone who was lucky enough to have visited Notre Dame, my heart is heavy. I’m sure there are millions of others who feel similarly and wish there was something that could be done. President's Blog: Is Industry A Good Investment? In very general terms, there are two kinds of investors – those that pay attention to their investments and portfolio and are aware of how current events impact their assets, and those who are blissfully unaware, who hand over their investable assets to a professional and say “Do with these what you will”. Today, it might be better to be among the blissfully unaware. When new federal tax laws are enacted, it takes a full year for taxpayers to understand just how those new tax laws impact their lives. That year has passed, and most Americans have prepared their tax returns. In so doing, many of them found that their tax return results differed from those in 2017 and prior to that, some in substantial ways. 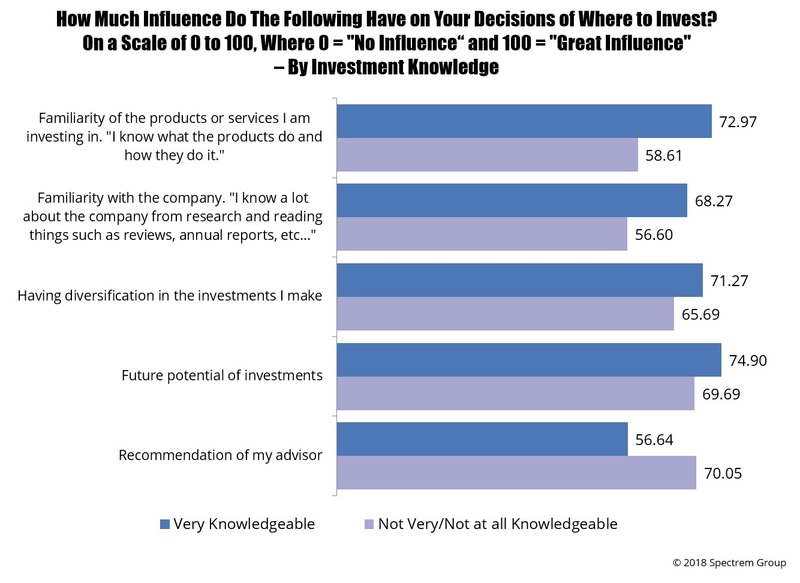 The more an investor knows and understands about investing, the more likely that investor is to create a diversified portfolio to take advantage of all of the different values certain products and services offer.